Acapulco, Mexico has been and always will be one of my favorite vacation spots. Frequented by jetsetters from around the world, Acapulco has something for everyone. 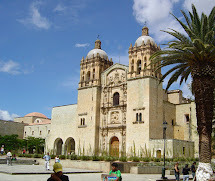 From luxurious villas that come complete with butlers and chauffeurs to bargaining in downtown artisan markets, Acapulco is a wonderful blend of old and new. 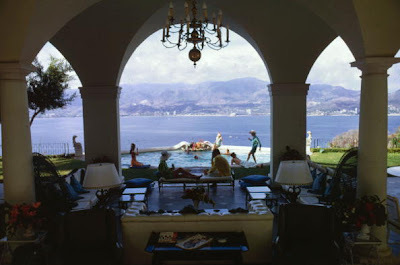 Slim Aarons loved Acapulco and beautifully captured this image of the villa where Henry Kissinger spent his honeymoon. 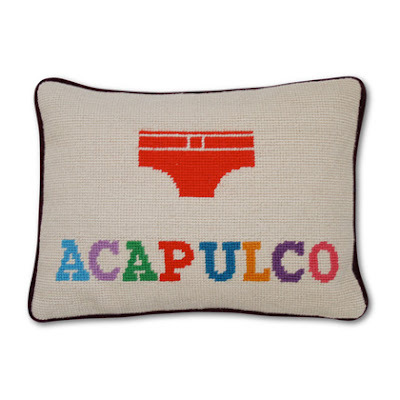 If you can’t jump on the plane to Acapulco, why not shop Acapulco? This needlepoint pillow from Jonathan Adler makes me giggle. The trunks are kind of like the little bathing suits the cliff divers wear on La Quebrada. Except these are orange! 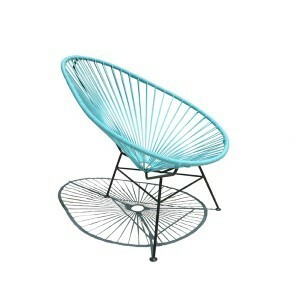 And I adore all things Jonathan Adler. 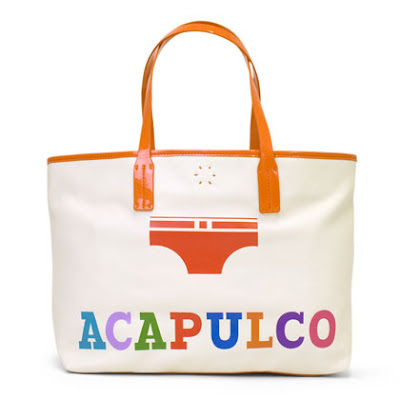 Of course, you might prefer the Jonathan Adler Duchess bag to show the world that Acapulco is your favorite jet set destination. Jackie Kennedy also enjoyed her honeymoon in Acapulco, Mexico. 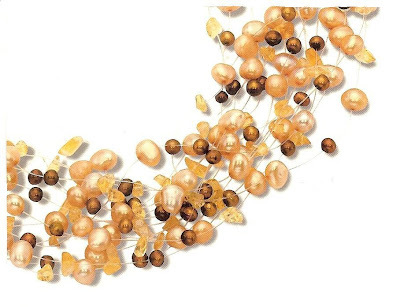 She discovered a little jewelry shop and purchased this gorgeous floating necklace with smoky quartz and freshwater pearls, while speaking perfectly in Spanish! Entertain at home in style with a little Mexican flair. The Acapulco pitcher from Crate and Barrel is a gorgeous way to serve aguas frescas on a hot summer day. 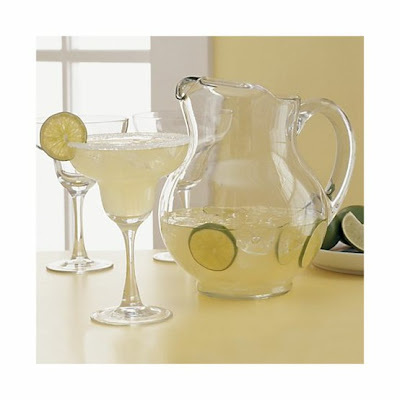 Wouldn’t some hibiscus water look beautiful served in this pitcher? Missoni’s Acapulco triangle top bikini is a perfect option for any beach, but it’s particularly appropriate for a trip to Acapulco. My favorite beach area in Acapulco for people watching is the Playa Diamante area, often referred to as the “new Acapulco.” Beware of some pretty intense undertow in the water. Villeroy and Boch’s Acapulco dinnerware is so pretty. 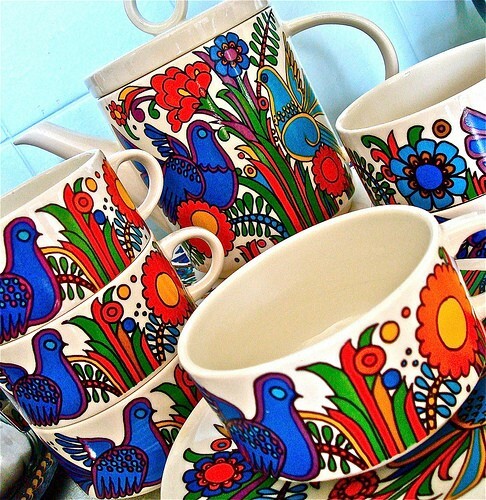 The bright, colorful birds on the white porcelain remind me of some ceramics I purchased in Mexico. So pretty! You’ll want an Acapulco chair for yourself because they’re oh so comfortable, but I found this Acapulco chair for children and fell in love! It’s a perfect complement to any décor and looks fabulous both indoors and on a patio or terrace. Shopping ~ La Isla shopping center has everything you could want to buy, including a new pair of Manolos...just in case you forgot to pack them. Nightlife ~ Baby 'O is the classic hot spot. Dress to impress and tell the doorman I said hello! Accommodations ~ If you don't rent a villa, try the Quinta Real. You may never want to leave your hotel. When I was eliminated on the Race they sent us to Acapulco for the remainder of the filming... I absolutely LOVED it! We stayed at Villa Segovia. Beautiful! 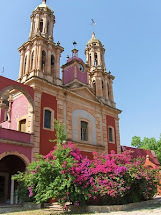 I hated to leave! 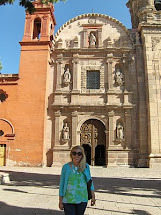 What a fun post with a great mix, I spent so many holidays in Mexico 20 years ago. What fun!!! I love to remember good times spent on vacation!